This strange little tale is an excellent metaphor for many of today’s citizens around the globe. Through the multiple lens of news reporting, political commentary and social media, they see what’s going on yet remain transfixed in the moment, because things are well, so far, so good. Venezuelans are doing so even as adults there have lost on average 20 pounds, while their “leader” may have gained even more! So far, so good… until it isn’t. On November 20, 2016, Indian Prime Minister Narendra Modi banned 500 and 1,000-rupee notes (worth about $7 and $15). Respectively his edict – supposedly to crack down on untaxed, criminal used “black money” – instantly nullified as legal tender, 85% of all cash in circulation. People literally died standing in massive bank access lines. And what happened to gold because of this? 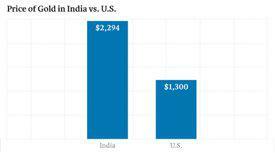 Overnight, the domestic Indian price almost doubled! These things (like FDR’s surprise gold ban and Nixon’s defaulting on the final link to a gold standard), tend to be preceded by an official government denial. And it’s usually over the weekend, when markets, banks, and local coin dealers are closed. … if you prepare well for the inevitable death of cash in America, you can set yourself up to avoid the pain and collect a hefty sum of money. Very soon, I expect the Federal Reserve will make the historic move away from cash and toward electronic money. It will accelerate the shift to a cashless America at light speed. Some investors will get killed; some will get very rich. He then discusses electronic gold, but the key takeaway for us is that holding physical gold has always been – and will continue to be – a way to backstop the value of your other “assets,” even if they are ground away because of government negligence or societal unrest. A way to mitigate underperformance in other asset classes. A fiat currency outperformer par excellence, with no credit risk. A non-correlated asset, in a “risk-off” financial environment. A “top ‘o the crop” insurance vehicle for a variety of scenarios. Maybe you feel lucky – but how much would you pay? How much would you pay for a tank of gas for your car? How much for a box of handgun ammo? For a water filter? 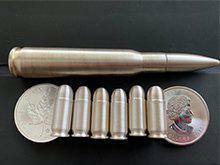 A tube of silver rounds? For a quarter ounce of gold? You should of course already have all these items on hand – just in case. 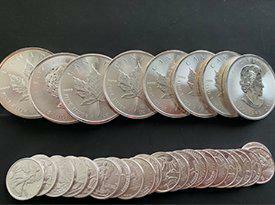 Less than two years ago, a Venezuelan citizen with a few ounces of silver could have exchanged it for 6 months of food. With an ounce of gold – a house. Today, after the country experienced 1,000,000 % inflation in 2018 alone – for a grocery store (assuming it still has groceries!) and a housing subdivision? Just about every other country in the world continues to experience inflationary effects which slash purchasing power – every year – of each and every “paper promise” (kudos to David Morgan for popularizing this term) in their wallet or “savings” account. Even in the U.S. with an “official” 2% inflation rate (actually closer to 9%) the effects become devastating. And poor Canada, which just a few years ago boasted an exchange rate of USD $1.05, now sits at just 0.75 cents – meaning our Northern friends must now pay 30% more in order to purchase their own Gold and Silver Maple Leafs! Analyst Clive Maund’s long term chart is starting to look interesting. 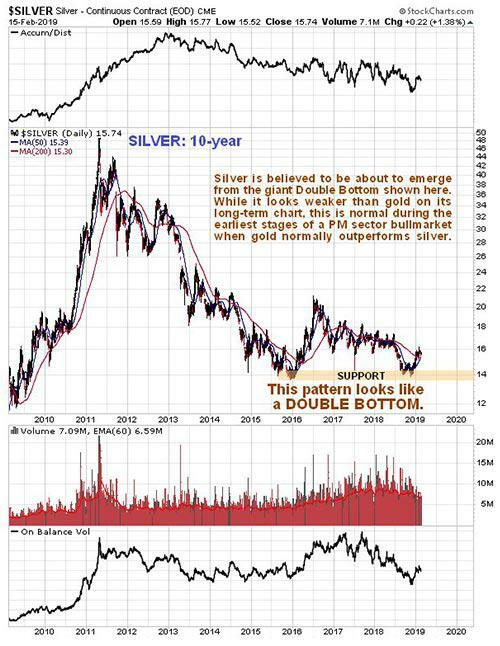 Silver has formed a technical double bottom with a 3-year separation hinge. Once $22 is cleared on the upside, especially with 3 closes above that round number – one of David Morgan’s favorite indicators – it could be blue sky for prices up to $34. It’s unlikely to happen by tomorrow, but it could be a lot sooner and more dynamic than most people expect. Near the end of The Magnificent Seven, Mexican Bandit Calvera, (played by born and raised in Brooklyn, Eli Wallach) asks Vin why he took the job of keeping outlaws away from the small community. But if you want to beat the odds of someday, perhaps sooner rather than later, finding yourself in “a mess of cactus,” it would be a good idea to get up off the couch and exchange a fistful of fiat paper for some metal – now.